Our specialty lies within custom swimming pool plastering, construction and masonry. 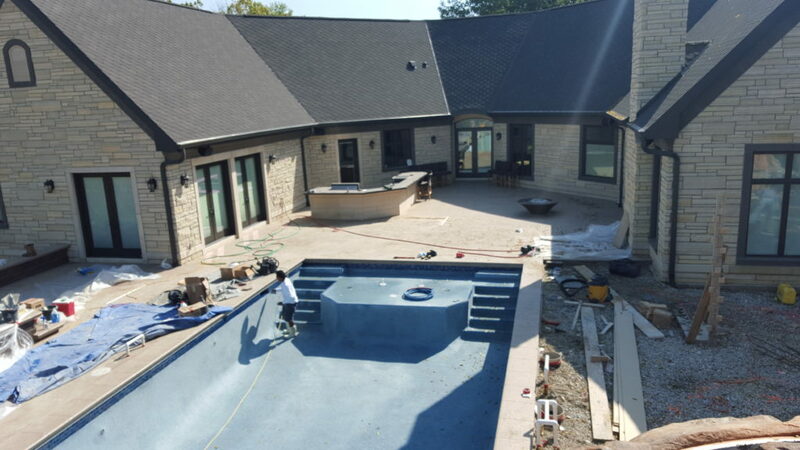 Installing a pool for your home can seem like a daunting task: our professionals will work with you from start to finish to make sure you get what you pay for. We can construct your new pool or provide new plastering for your existing one. No matter what you need, we can handle it. We’d love to work with you on your next project: the bigger the better! 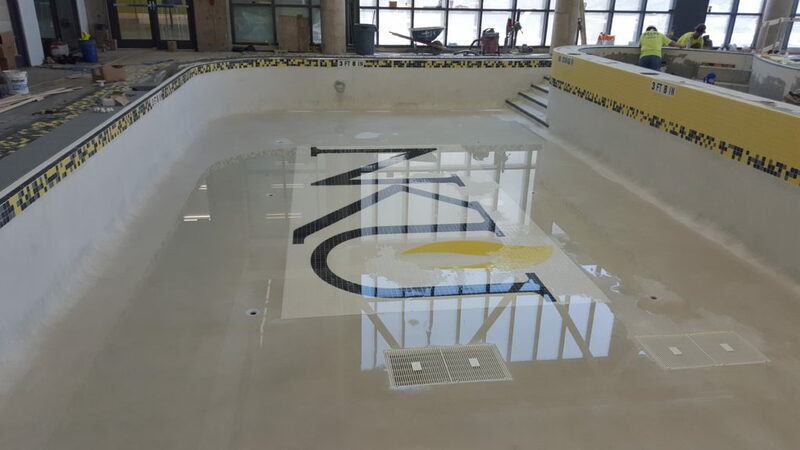 Over the years, we’ve seen every kind of commercial pool you can imagine from Columbus, OH to Louisville, KY and beyond. Our experienced team will find a solution perfect for your aquatic needs. Rough Surfaces: Your first sign that something is wrong with your plaster will probably be that it becomes more uncomfortable to swim or touch your pool’s jagged surfaces. If your feet are roughened or even scratched, or if you notice your bathing suit getting torn or snagged, it’s a sign that your plaster has started to wear thin. Sometimes this is more visually apparent first: if you notice dirt beginning to gather in cracks or pitted parts of your pool, it’s time to take care of the plaster. Structure Showing: Most pool structures are constructed from Gunite or Shotcrete; these are tough substances, similar to concrete, that support your pool’s basin. If your plaster has worn thin enough that you can see or touch the rocky surfaces of your pool’s basin, it’s time for swimming pool plastering. Mineral Stains: Over time, minerals in the water may stain your pool’s plaster. While not directly harmful, these stains ruin your pool’s aesthetic. It’s important to keep in mind that if these stains are appearing only a few years after you last replastered, it might be a sign of an issue that needs your attention. Why Should I Hire a Professional to Replaster My Pool? Insured: One of the biggest draws in hiring a professional for a job like swimming pool replastering is the fact that we’re insured. This is an expensive, arduous job – and that adds a lot of liability. Our professionals come completely covered so that you can rest easy. Guaranteed: We also stand by our work. That way you know the job will get done properly by experienced professionals who will be able to handle whatever might come up. You can also have a fairly accurate idea of how long your new coat of plaster will last. Ease: Replastering a pool takes time and hard work. Trusting us to handle the job means that all you have to do is wait for your pool to be ready to use again. Quality: You don’t have to worry about whether or not you’ll do a good job or about its longevity. We stand be each and every replastering job we perform. Cleanup: Replastering a pool requires a lot of tools and materials. These are tools and materials we already have – and when we’re done, we’ll remove them without a trace so you don’t have to worry about cleaning up or disposing of excess. You won’t have to spend money on tools you won’t need again for another 7-10 years. If you think it’s time to replaster your swimming pool, give Sonseeker Pool Masonry a call today! We serve residential properties throughout the region. We stand behind our method with the longest guarantee in the business.